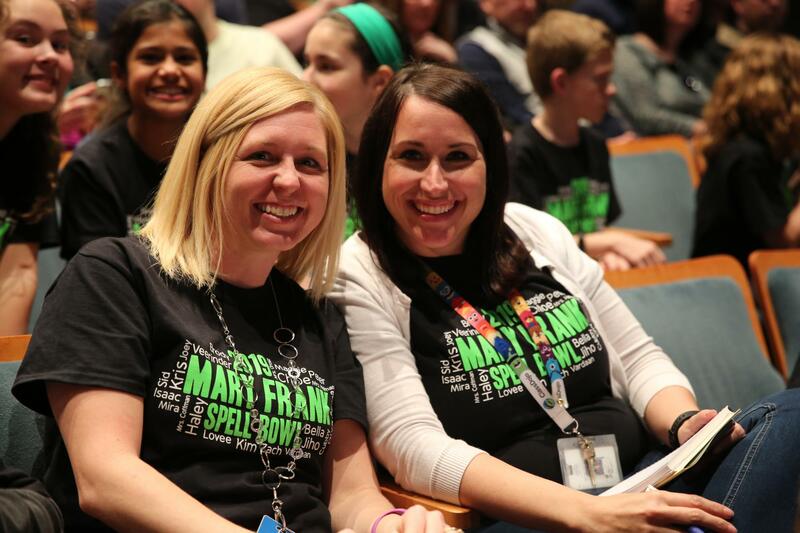 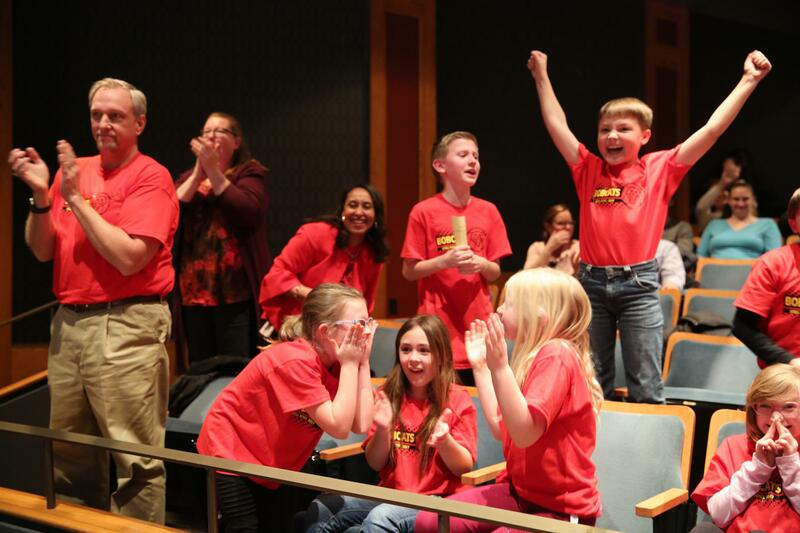 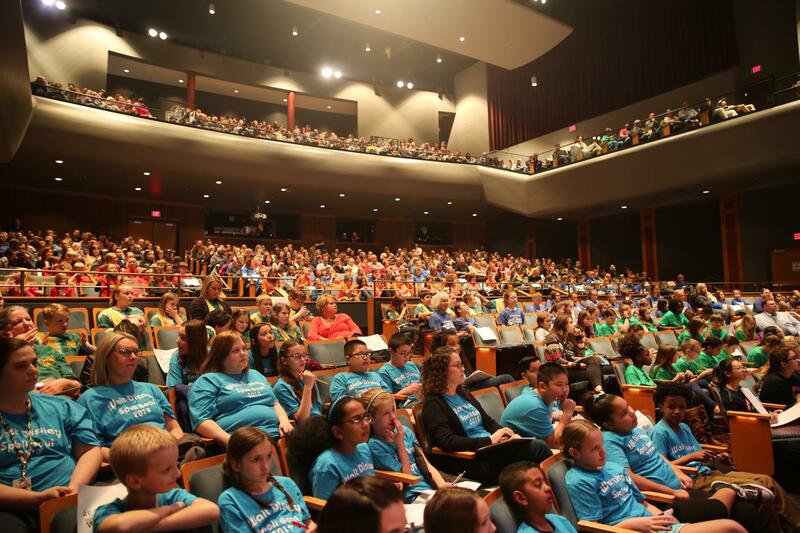 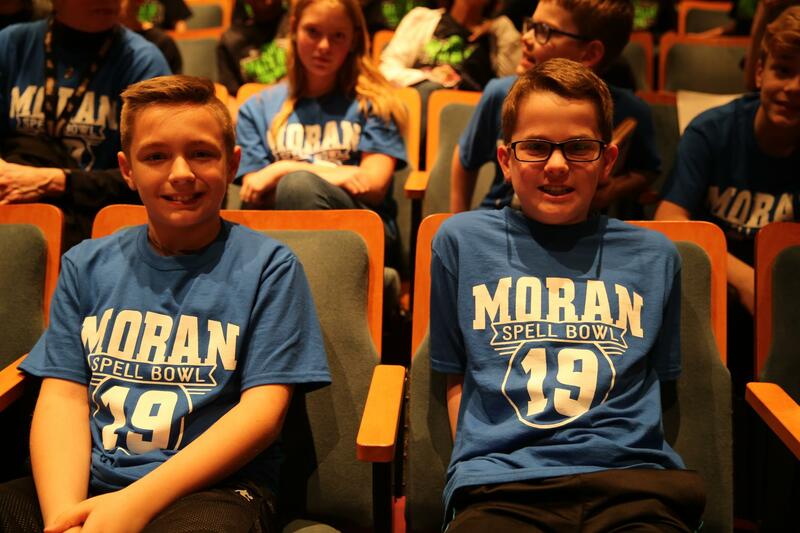 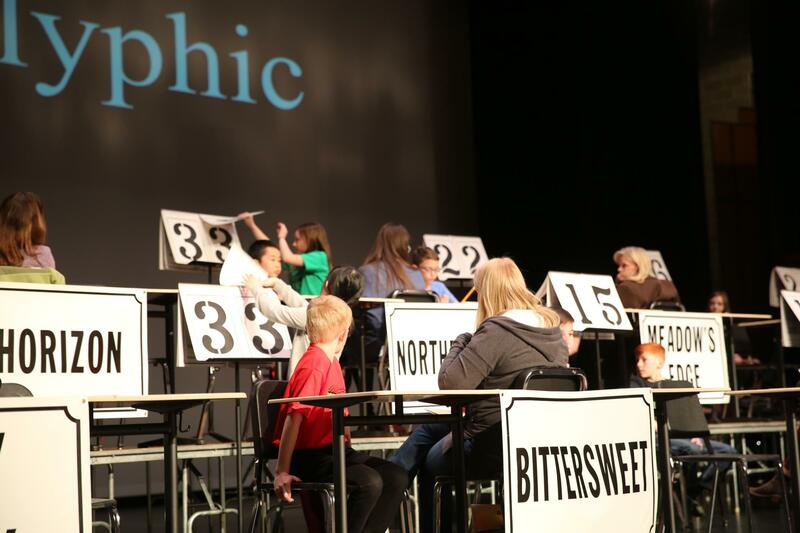 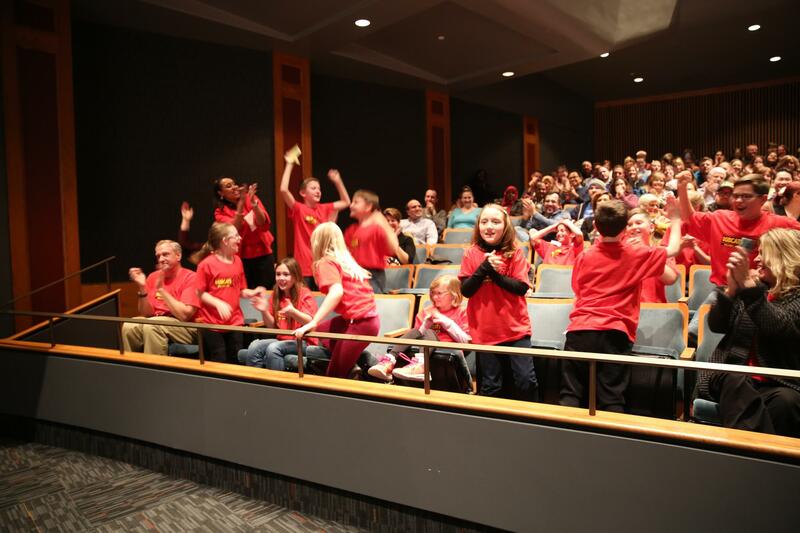 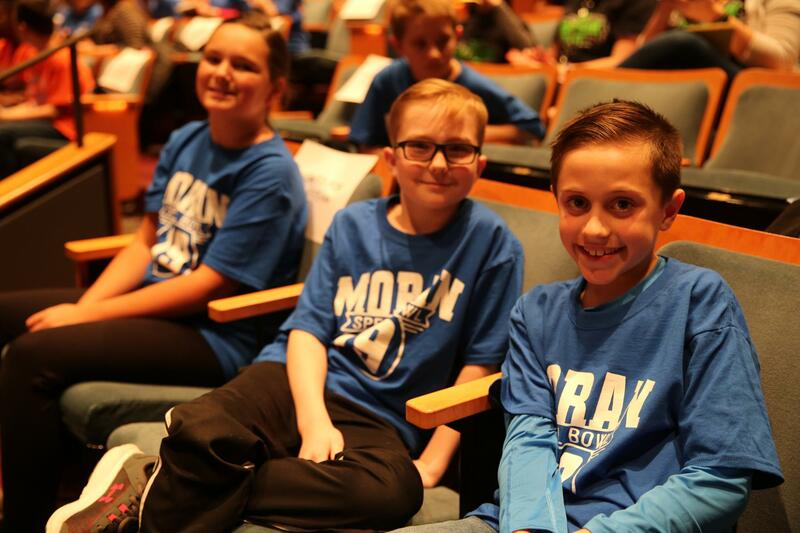 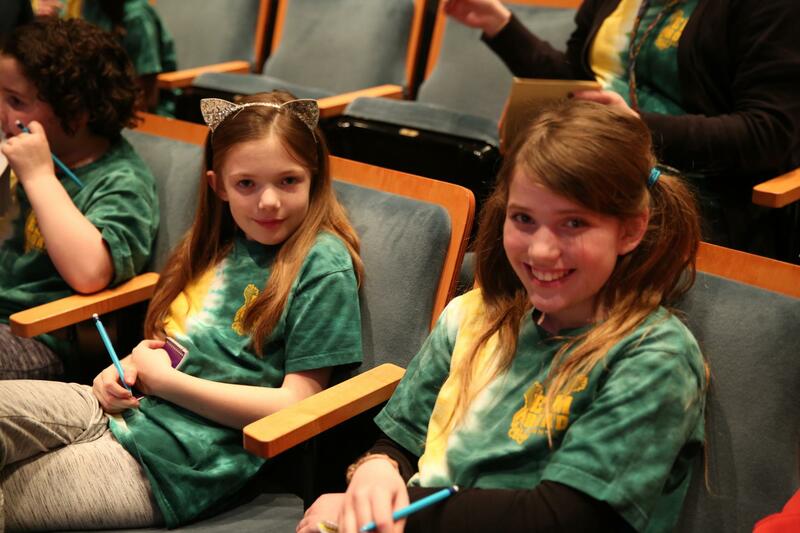 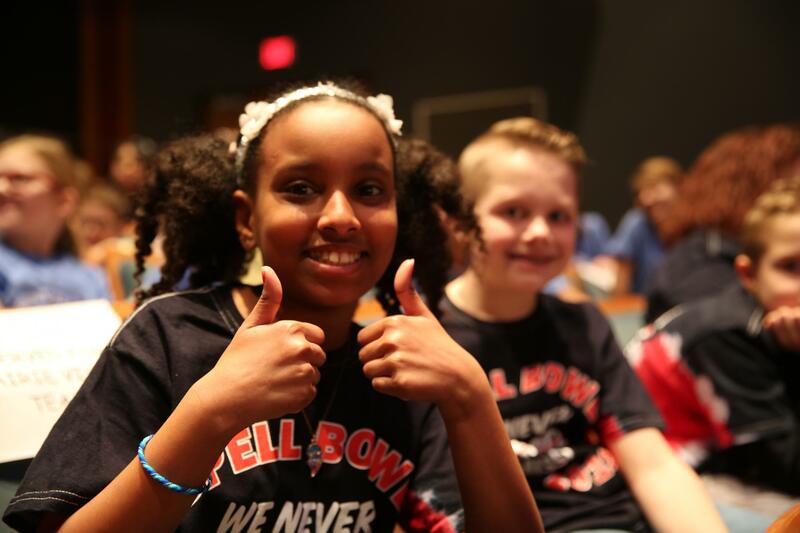 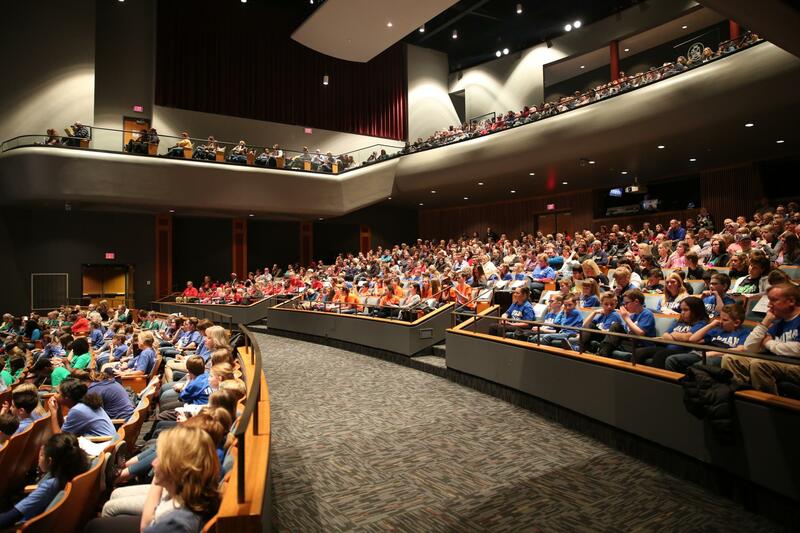 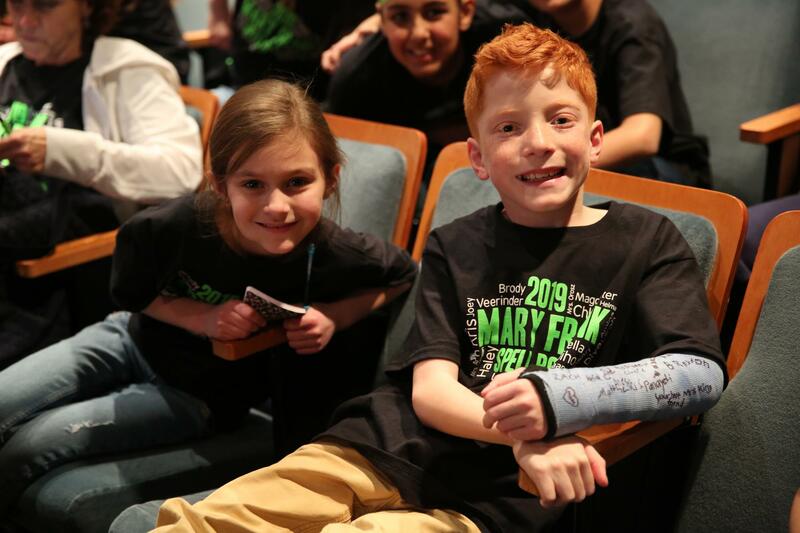 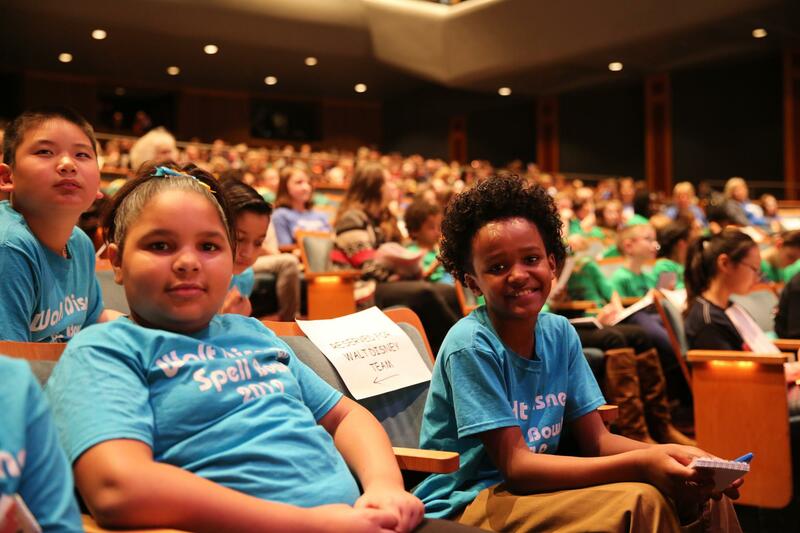 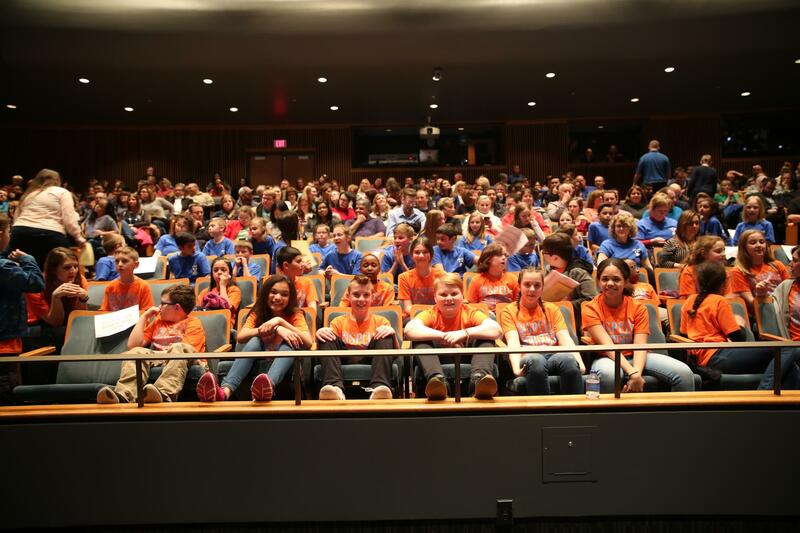 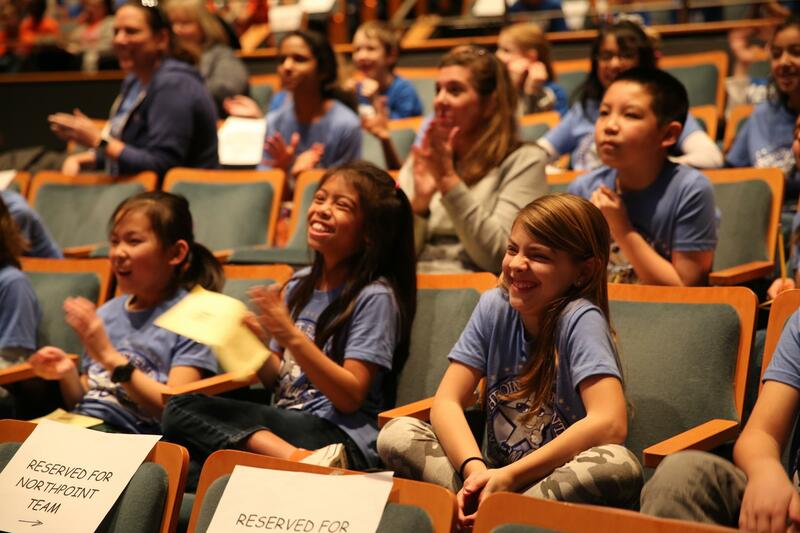 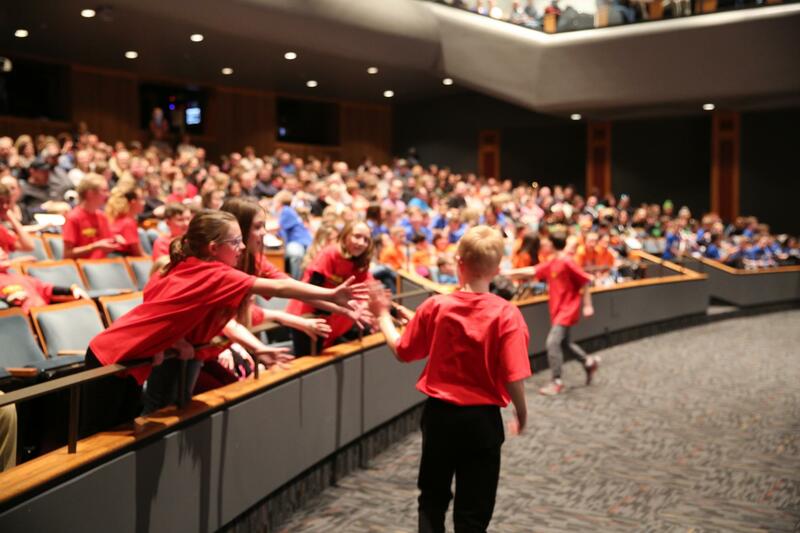 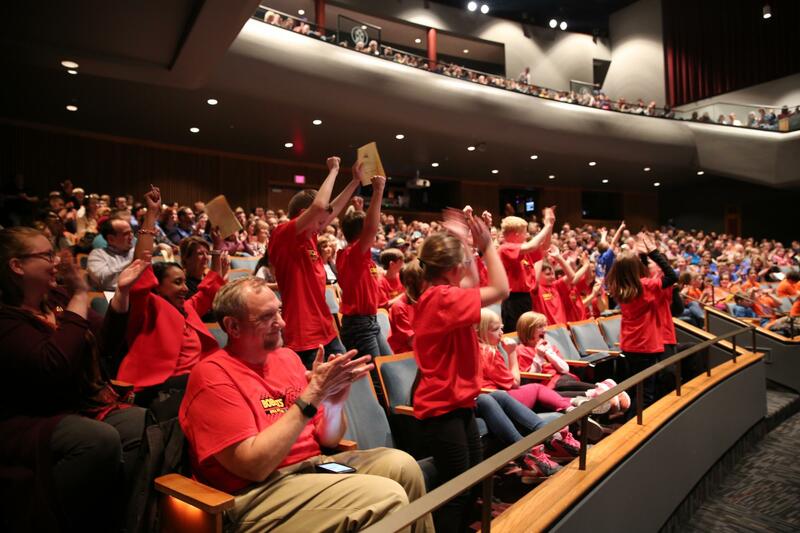 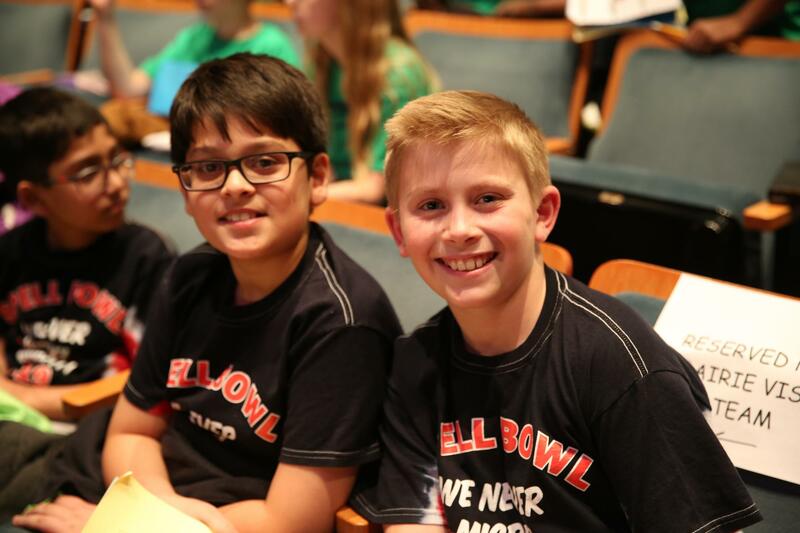 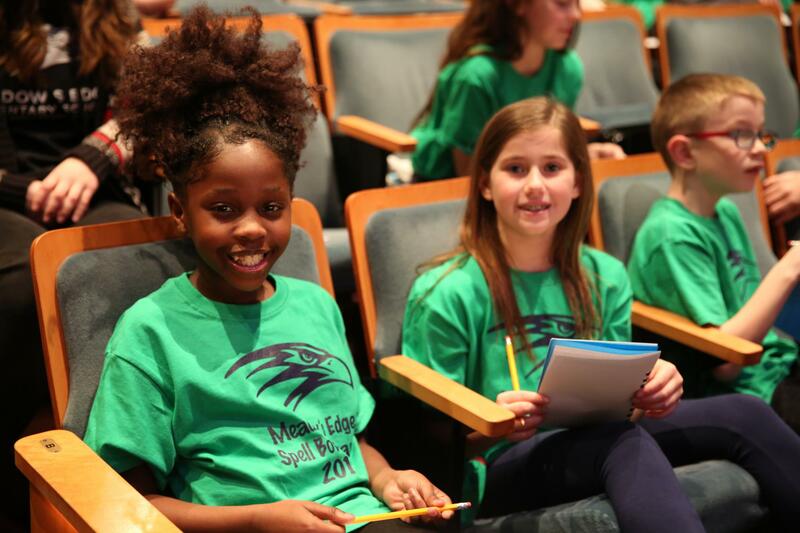 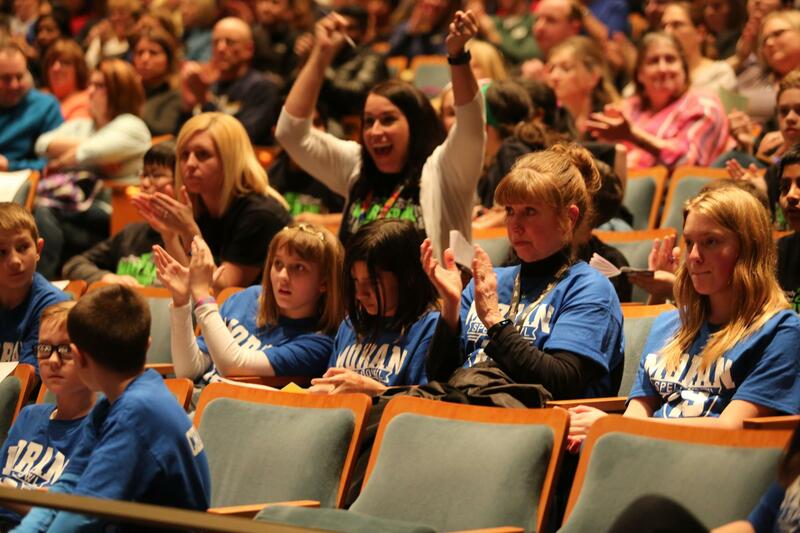 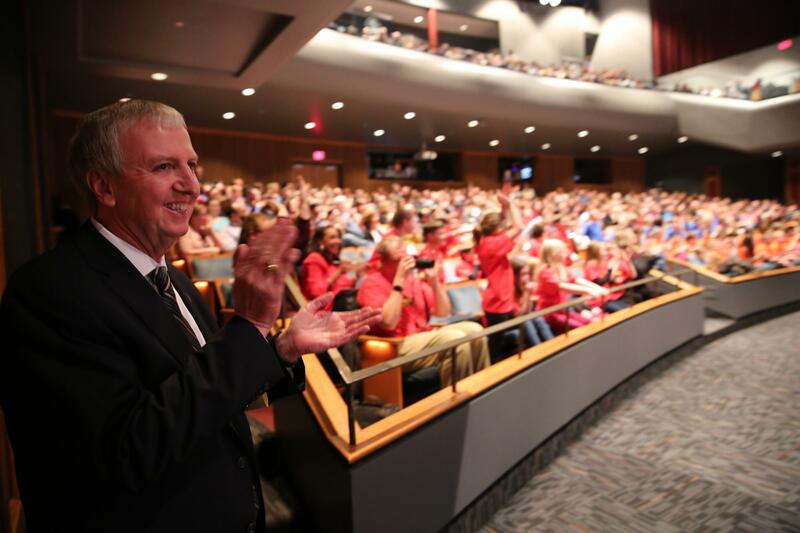 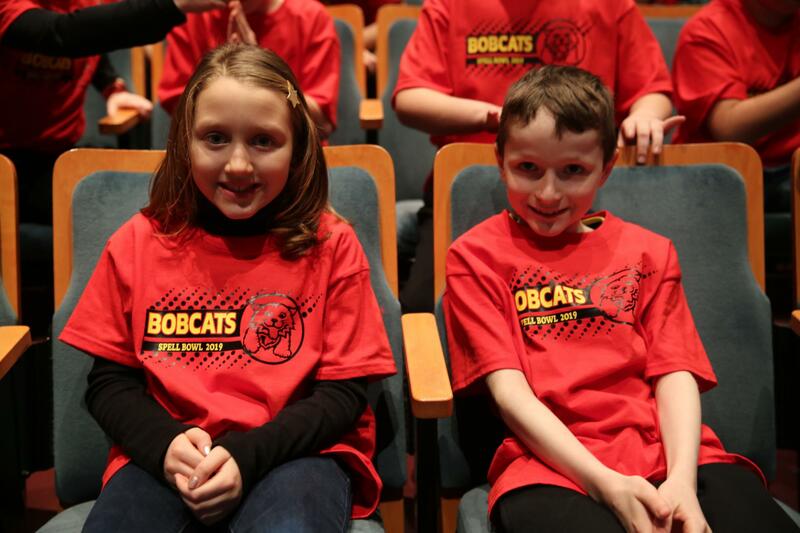 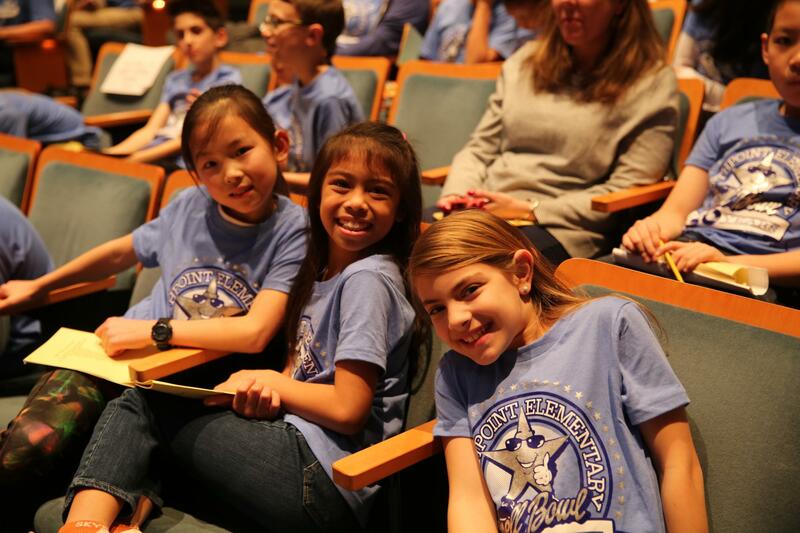 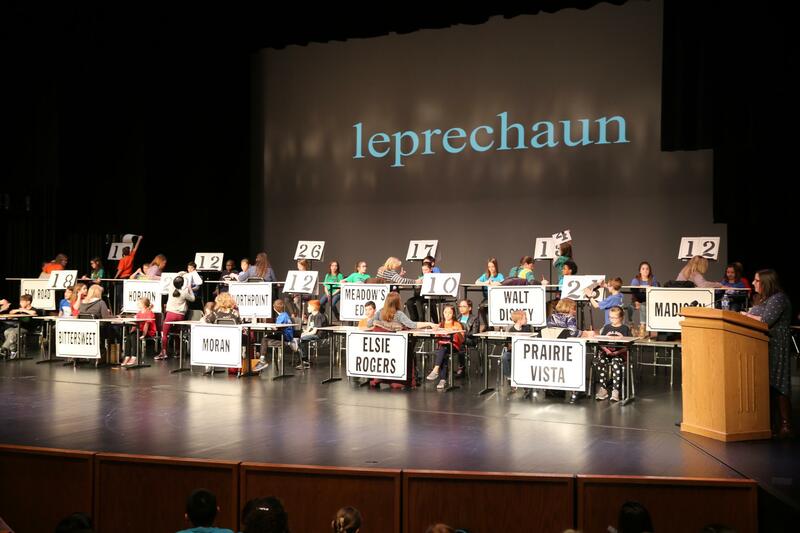 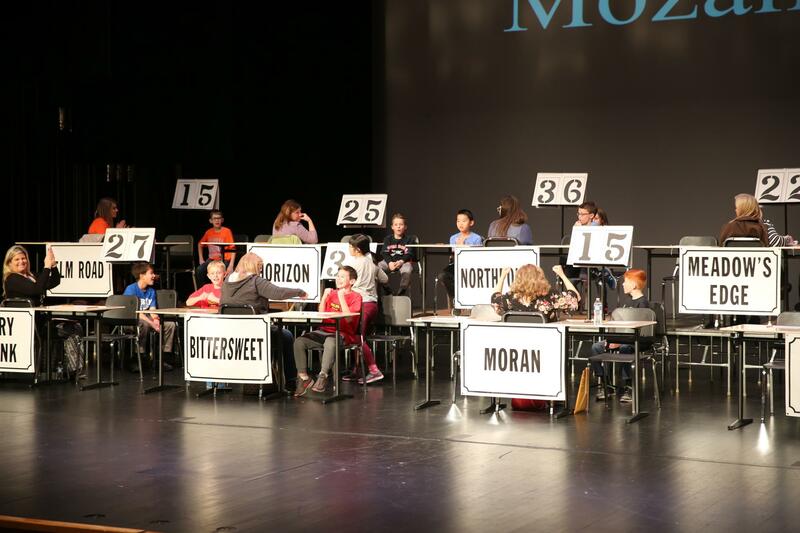 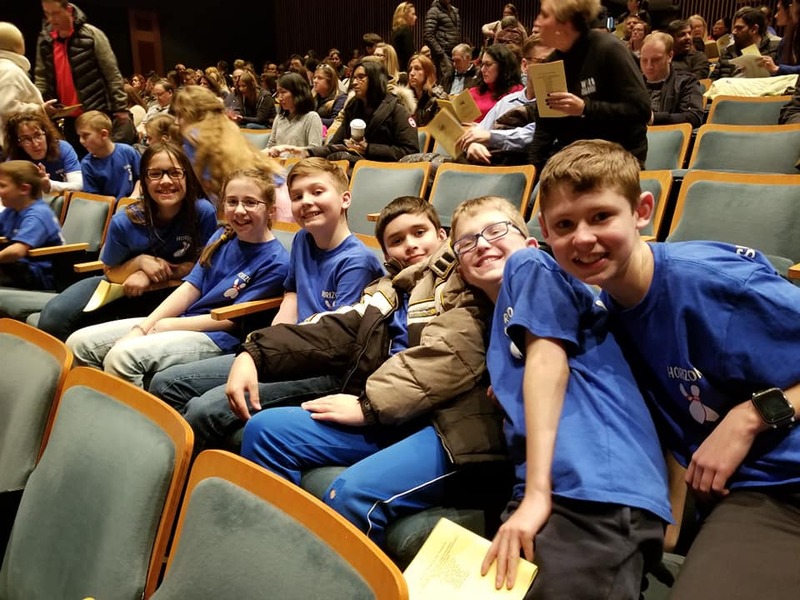 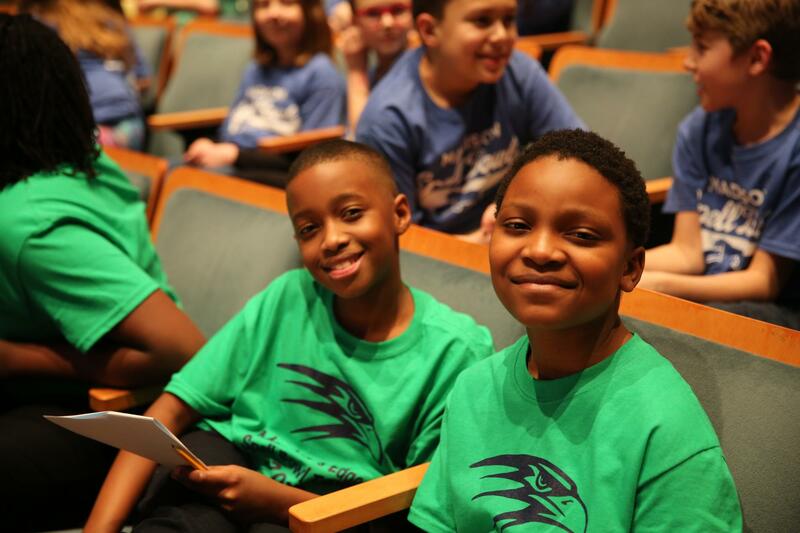 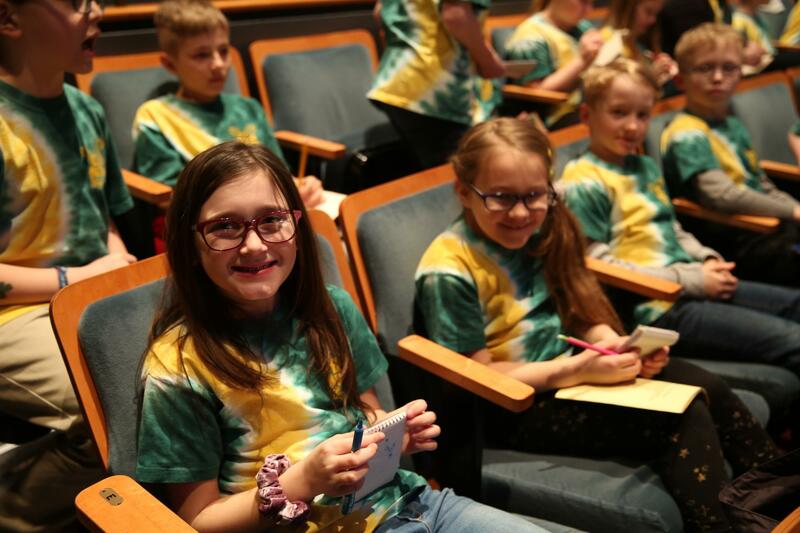 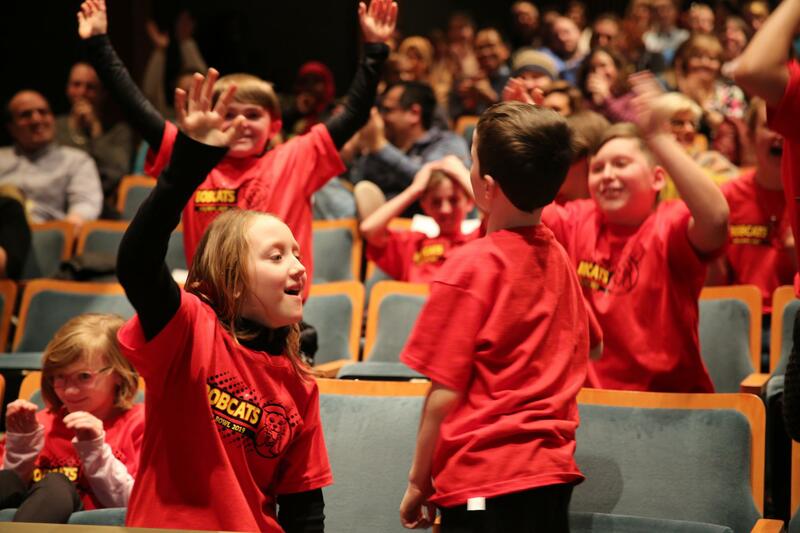 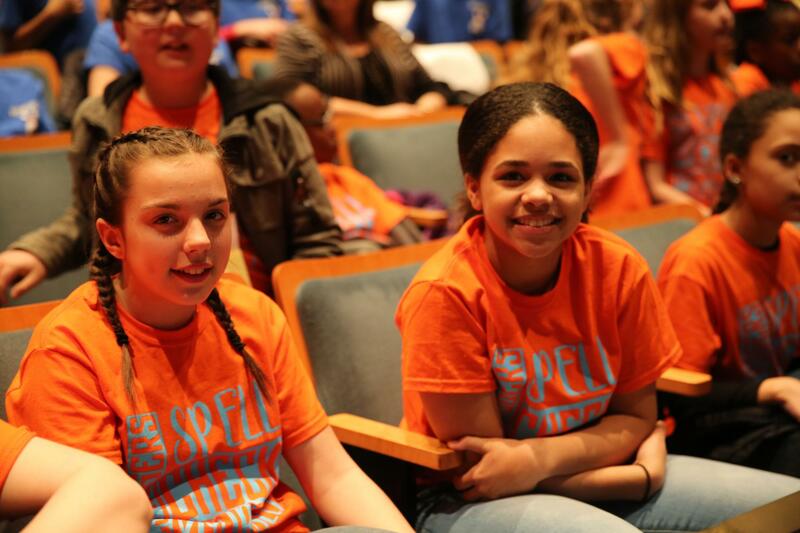 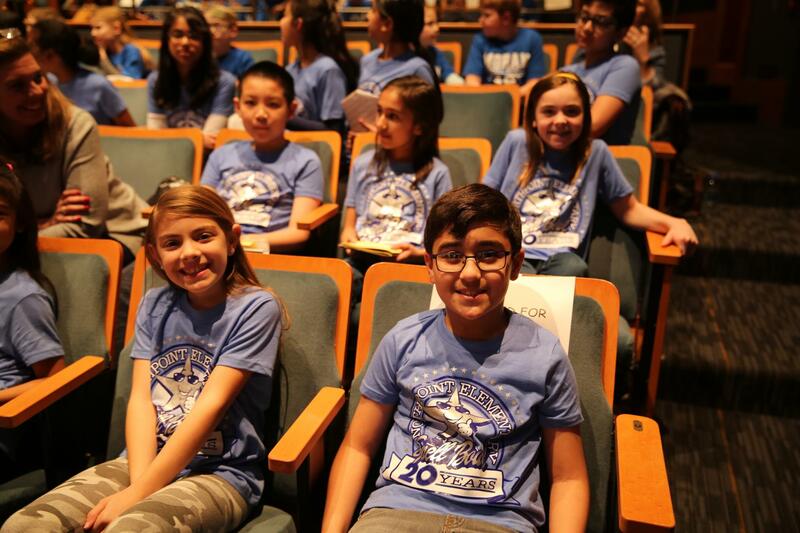 Nail biter, suspenseful … not terms you usually hear to describe a Spell Bowl, but that’s what happened at last night’s (Tuesday, March 20) 33rd annual P-H-M Elementary Spell Bowl. 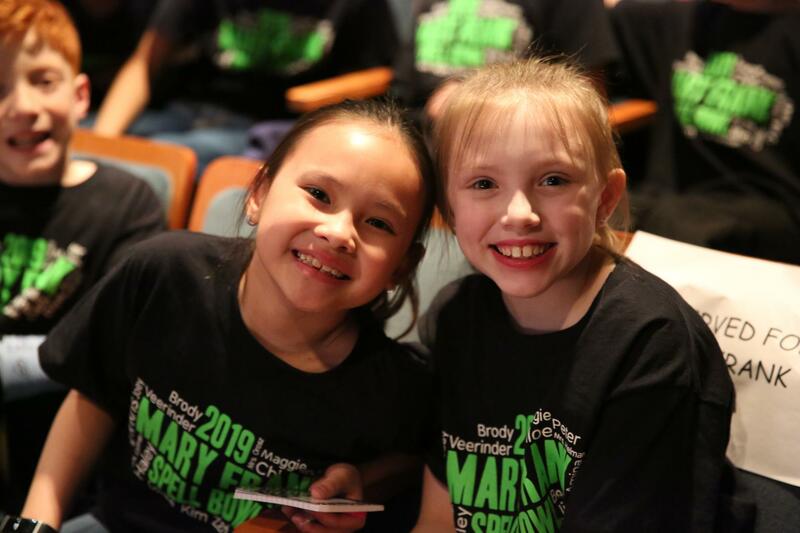 Click to see the photo gallery below. 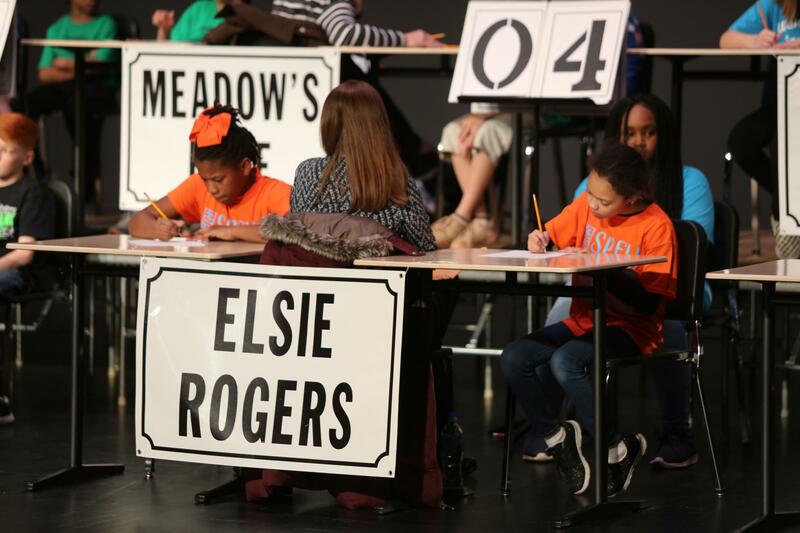 The 4th and 5th grade rounds had to go into “extra innings” for tiebreakers. 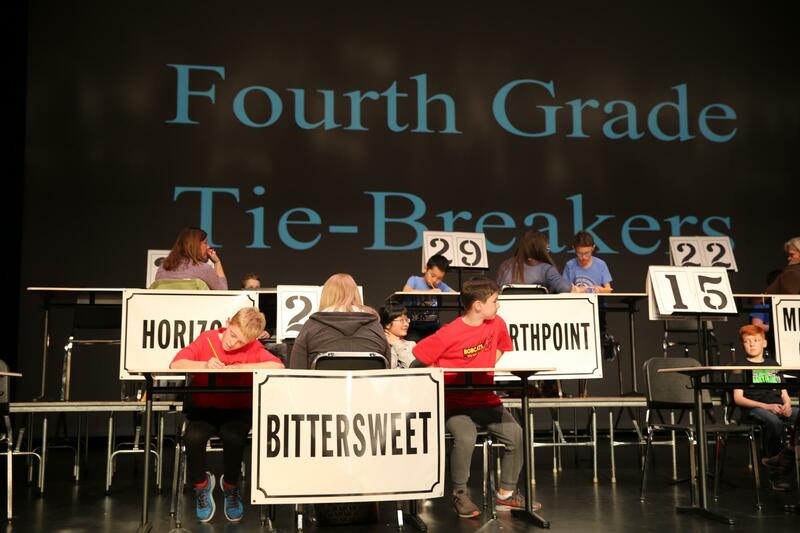 Bittersweet and Northpoint’s 4th grade team of two students each went into the tiebreaking round with 29 points. 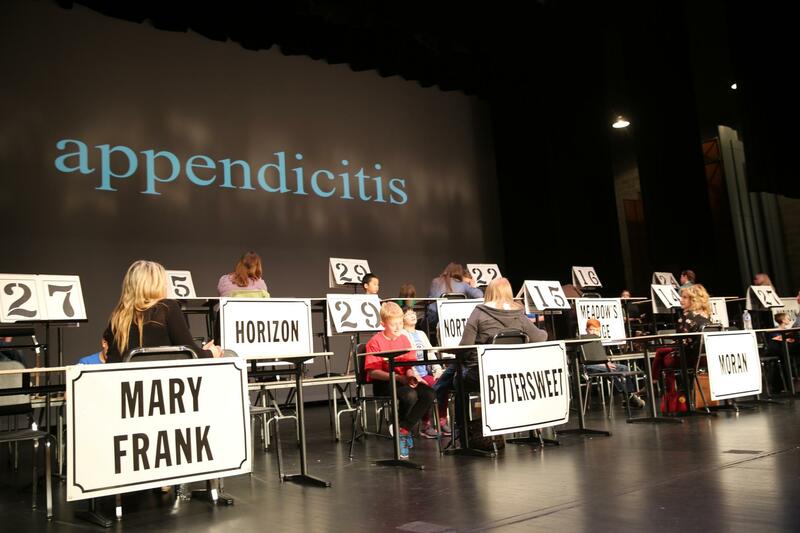 Students had to spell appendicitis, hieroglyphic, reverberate, and Mozambique to win. 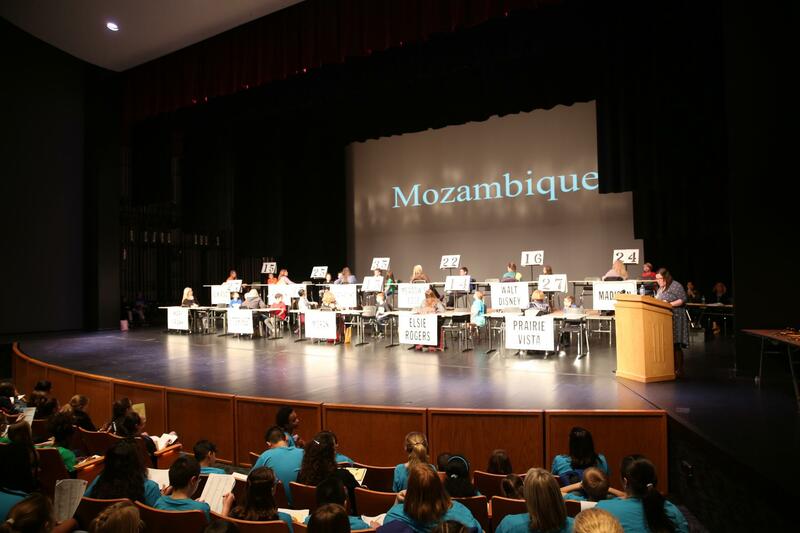 Eventually Bittersweet beat out Northpoint by successfully spelling Mozambique. 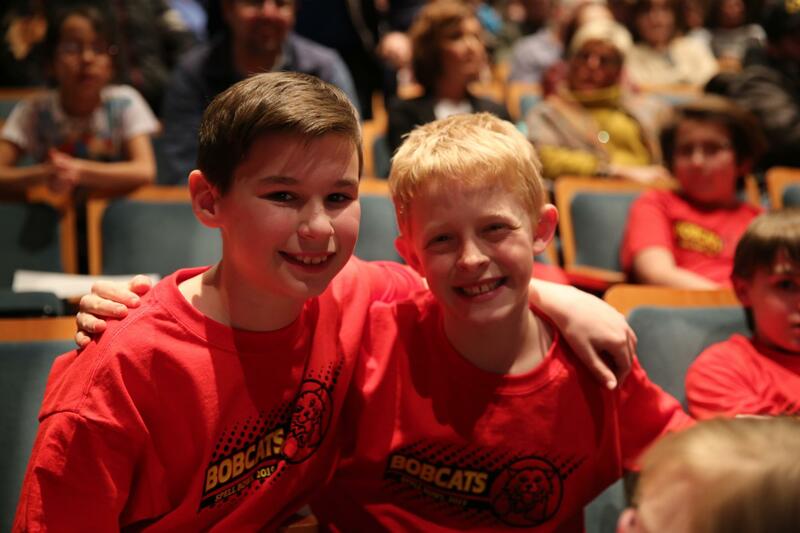 The Bittersweet students were Collin Hickey and John Gutierrez. 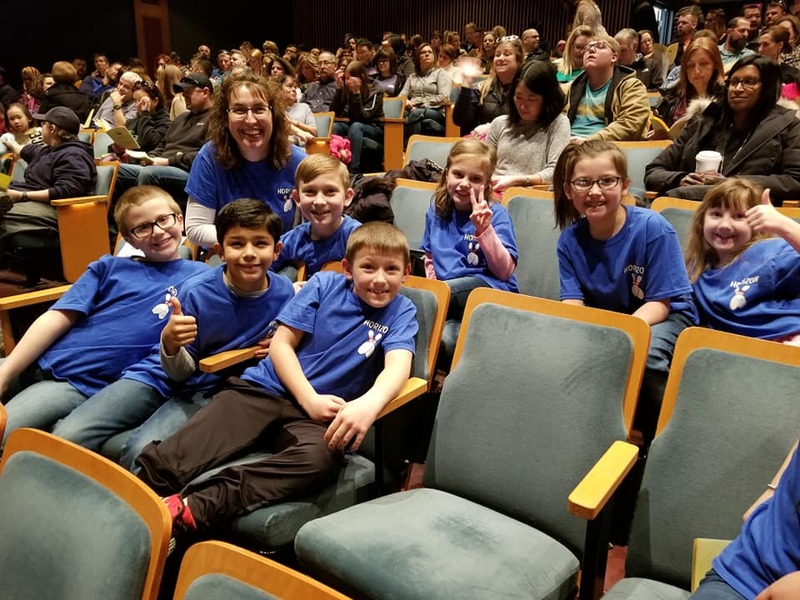 Click to see the full photo gallery. 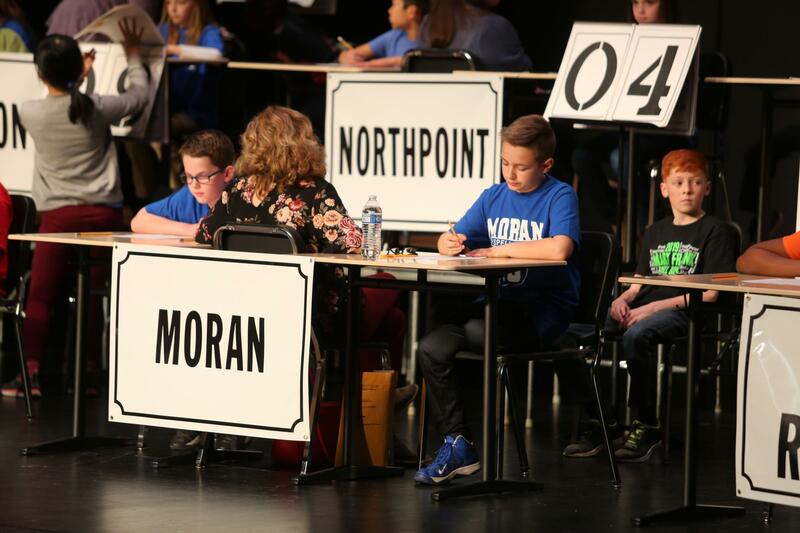 After that close match, it was time for the 5th grade round, which also had to be finished with an additional tiebreaker round. 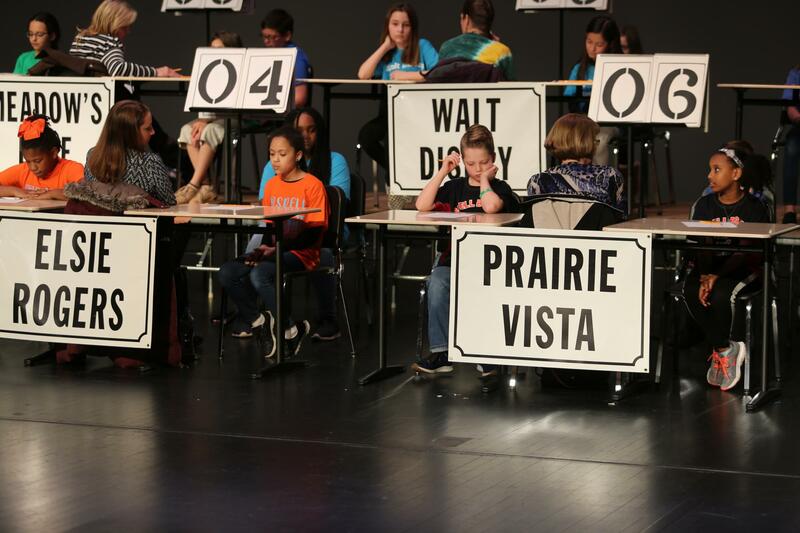 This time it was Walt Disney going head to head with Northpoint. 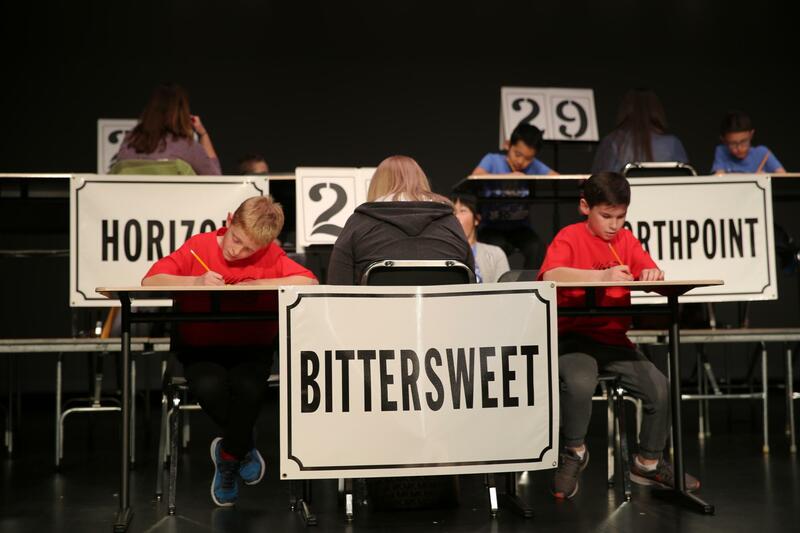 Students went through all five tiebreaker words: antiperspirant, spelunking, westernization, putrefy, and Okeechobee Lake. 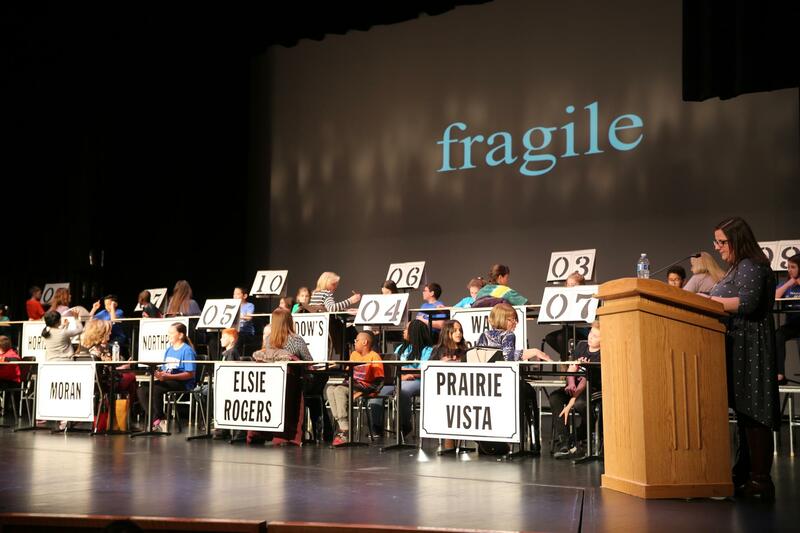 Judges then had to pull from their “secret bag of words,” giving the students the word affiliate to spell. 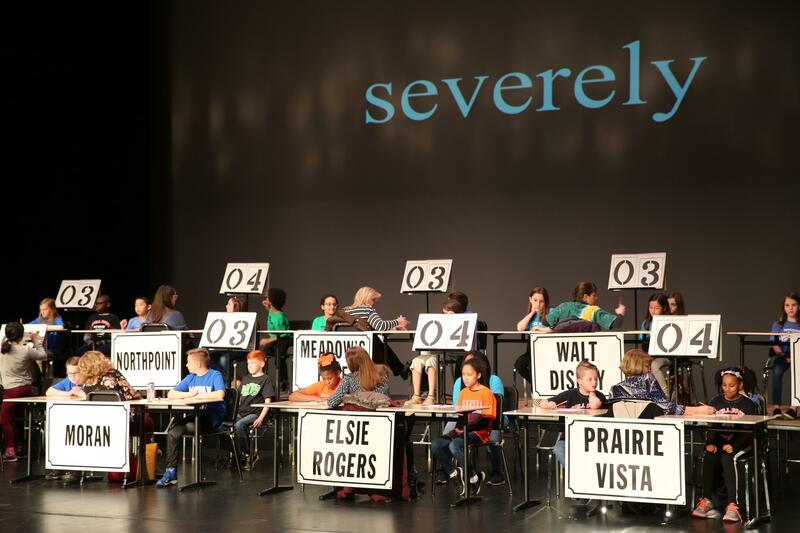 Finally in the end, Walt Disney came out on top spelling affiliate correctly. 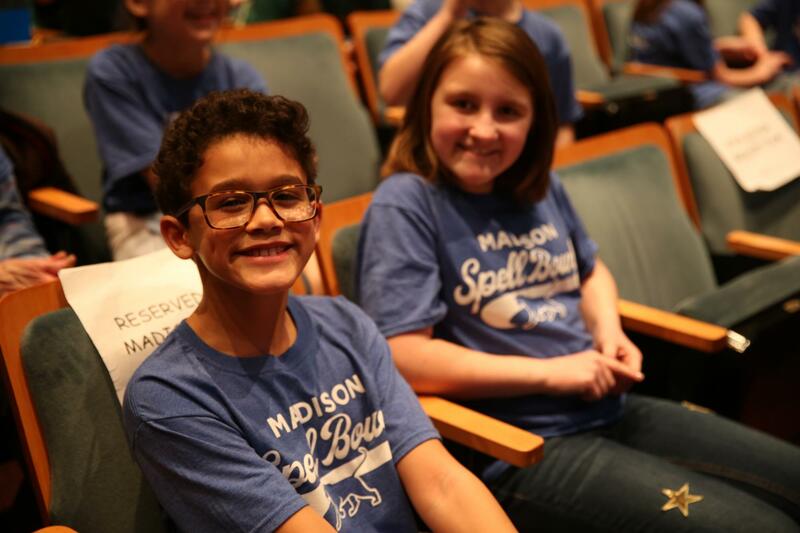 The Disney students in the tiebreaker round were Sreeja Bhattacharjee and Joseph McQueary. 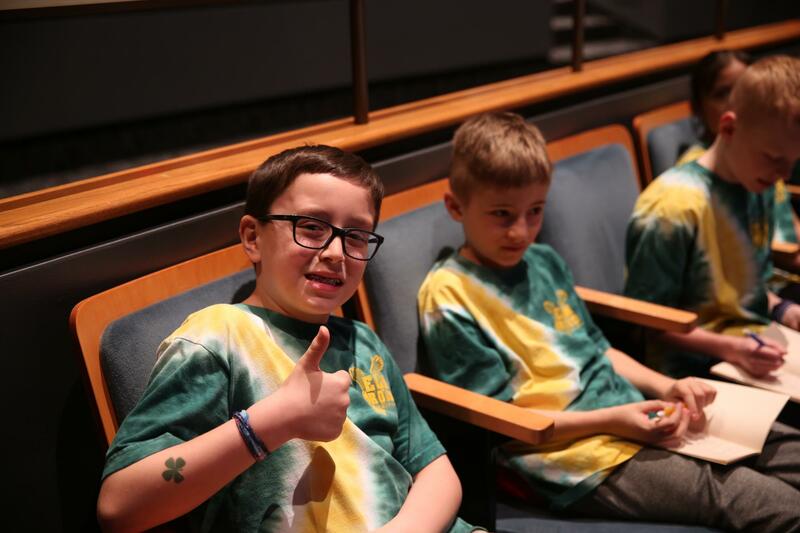 To download a high resolution jpg file from the photo gallery below, just simply click the “DOWNLOAD” button on the bottom right hand corner of the photo wile viewing it in the Photo Gallery function.